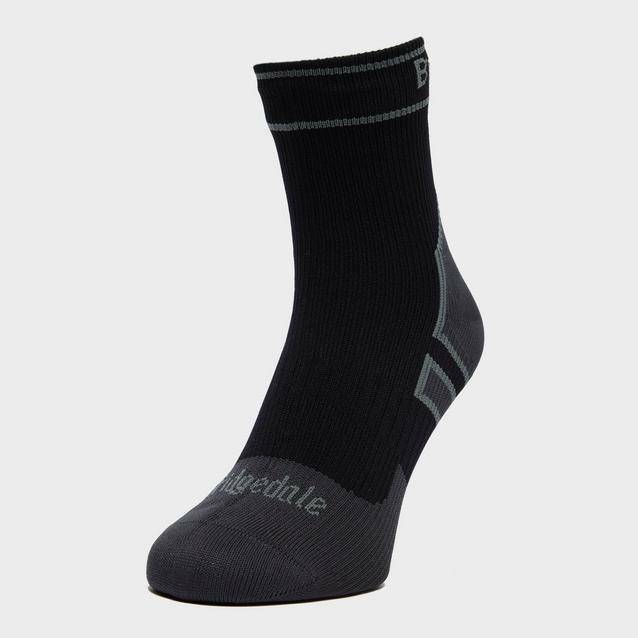 Waterproof, breathable and comfortable the Bridgedale Lightweight Stormsock is primarily knit from Merino Wool, and features a Hydrotech waterproof and breathable membrane for full weather protection. 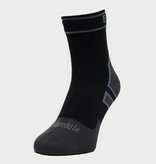 An ideal sock for when you need minimal warmth and padding with maximum wet-weather protection. Lightwight with an uncushioned lining for a super-close fit, the ankle-legth Lightweight Stormsock is ideal for runing and high intensity activity. Designed to sit just ablove the ankle bone these socks will repel all water while allowing sweat to escape. A high concentration of merino wool gives them excellent anti-bacterial and moisture management properties as well as good warmth for their weight.